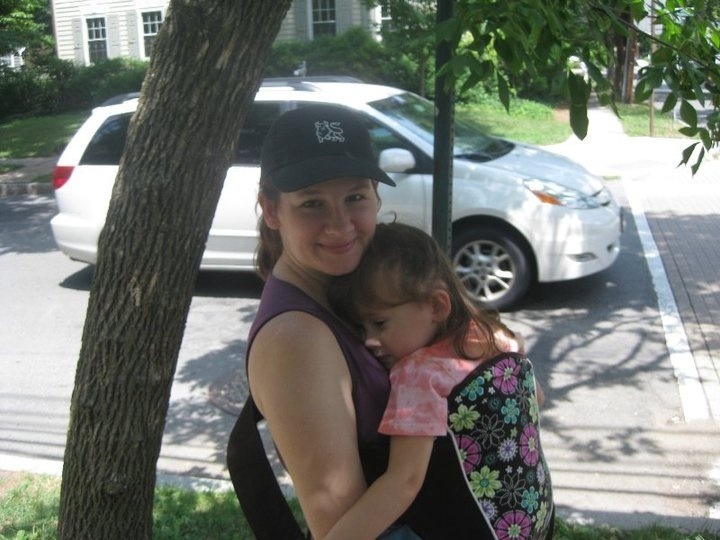 My daughter Corinne and I in Princeton, NJ in mid-2010. We went there as a family and my youngest one gave up the carrier for some arms so his big sister whose legs were too tired could get a ride. I loved my Scootababy.